How is Sprout100 different from the original? To start, Sprout100 offers double the output power, which—apart from providing renewed efficiency, lowered distortion, and greater separation and detail—also serves to galvanize the sonic benefits of extended headroom. 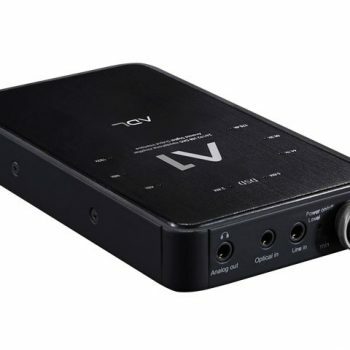 Sprout100 offers a DAC with maximum resolution—one that decodes even 128DSD and 384/24PCM. We hear you want a remote control, an indicator light, a defeatable bass-boost, and an optical input? It’s all there. Sprout100 also differs from the original by offering a variable subwoofer mono output, full RCA analog in/out connectors, a redesigned world-class RIAA phono-stage, and a newly designed z-feedback low-impedance headphone amplifier. And with Sprout100’s universal internal power supply (100 – 240VAC @ 50/60Hz with auto-detect) you can take your new integrated amplifier abroad for maximum flexibility. By adapting new high-resolution/low-distortion topologies, a beefy 240-watt power supply, and bleeding-edge ICEpower amplifier technology, Sprout100 offers increased headroom, lower noise floor, and extended and nuanced frequency response. Z-feedback innovations reveal temporal accuracy and increased transient impulse response. Sonically notable for its lucid spatial detail, acute tonal retrieval, and commanding noise immunity, Sprout100 is even more equipped to drive your loudspeakers and headphones than before. But many things didn’t change. For example, the size, feel, shape and style are the same. Like its predecessor, Sprout100 is adorned with real walnut and machined aluminum knobs—making each and every Sprout100 unique. Our attention to detail is the same. Our passion remains true. Our philosophy will never change. Scott McGowan grew up at the PS Audio factory, sharing his father Paul’s love of music and high-end performance audio. But he disliked the complexity, cost and tangle typical of Audiophile systems. Why couldn’t he have the performance levels of his father’s creations packaged in a single, beautiful product he and his friends could afford to own? It should be powerful yet simple to operate. Its aesthetics should be inspired by the “less, but better” designs of Braun’s Dieter Rams and Apple’s Jony Ive. He would call it Sprout. Sprout is for those who care about their home, their music, and their enjoyment of music in their home. We believe there are a lot of such folks out there.